This mod adds all the doors of Minecraft 1.8 for Minecraft PE! 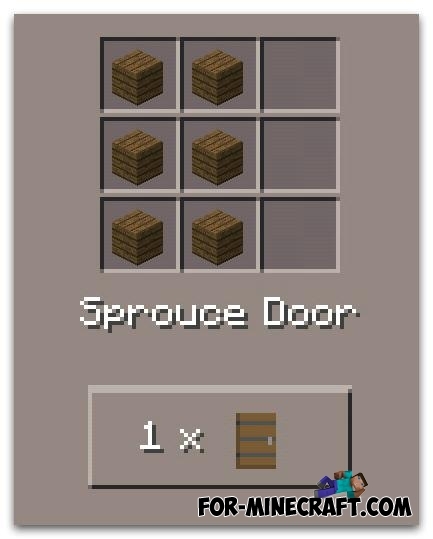 All doors can be crafted in the survival from the different types of wood. How to download this mod?